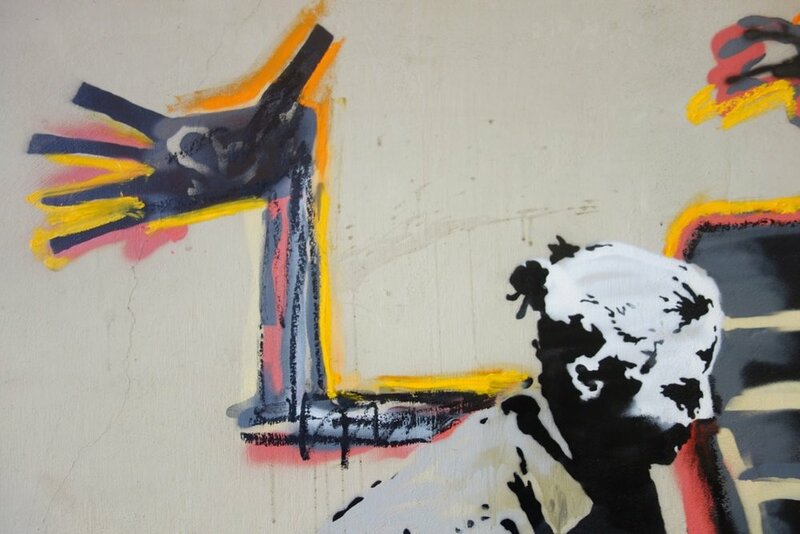 With the opening of Jean-Michel Basquiat's first UK-based large-scale exhibition just a few days away, several pieces from fellow artist Banksy appeared at the venue to honor the legendary creator. 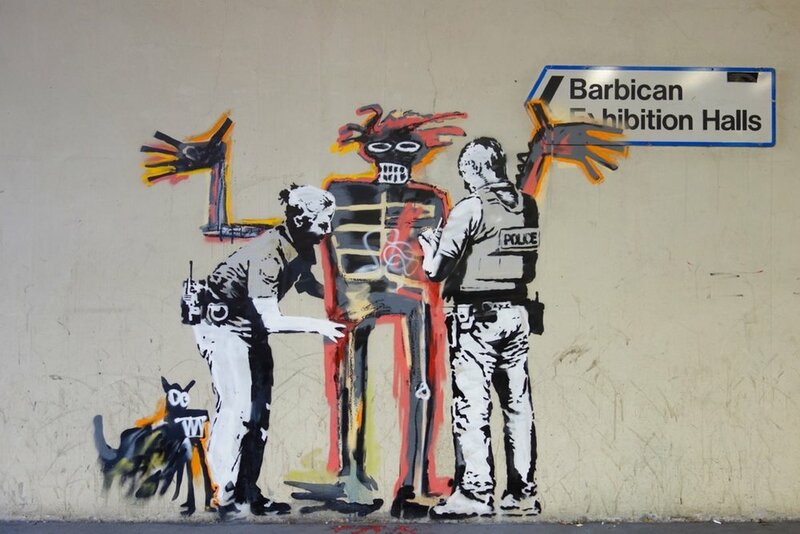 Banksy later took to Instagram to point out the irony of showing at the Barbican — a site known to keep its walls free of graffiti — playing host to an acclaimed artist of that same genre. Acting as an unofficial collaboration of sorts, the main piece is an ode to Basquiat’s Boy and Dog in a Johnnypump piece — reimagined with a revolving theme found in Banksy’s creations — law-enforced stop and search procedures. The featured works blend stencil spray paint, freehand spray paint and oil pastel. Quinn XCII Releases Latest Album "The Story of Us"